The 2012 Grammys confirmed that EDM had entered the mainstream, but Dave Grohl didn’t really seem to be on board. A debate ensued. 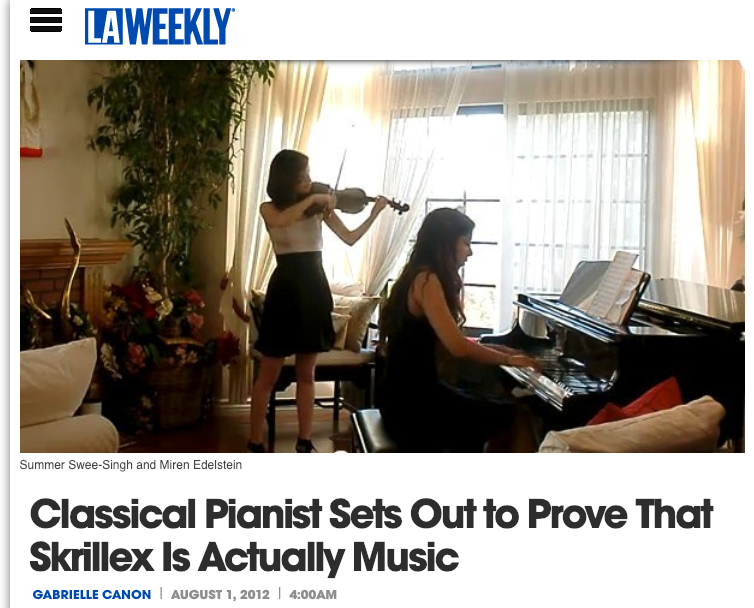 But if you ask Summer Shee-SinghSwee-Singh — who’s been playing the piano since she was 8 — EDM is quite worthy. She’s been putting together classical arrangements of genre stars like Skrillex and Daft Punk, and works to draw out the musical qualities beneath the production. Swee-Singh is half Chinese and half Indian. She laughs often, and adds a “that’s what she said” whenever possible. Blessed with perfect pitch, her arrangements usually feature piano and violin, and she also plays the flute.